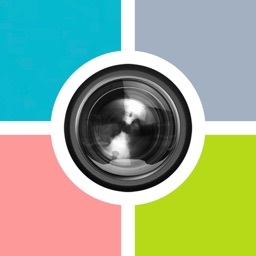 ▶ Looking for some new app to improve your collage making skills? Now you can spend hours editing pictures to your taste and don’t feel bored. Discover the best collection of photo frames, camera effects, insta filters and collage templates to join pictures together! Let your imagination run free and explore various options for photo manipulation. With *Cool Photo Collage Editor Pro* take a change to become a real photo artist! Only thing that you have to do is to download this incredible ‘‘photo collage app’’ and enjoy in photofunia! ⑥ Add funny photo effects and filters on pictures like lomo, sepia, vintage, black and white, etc. 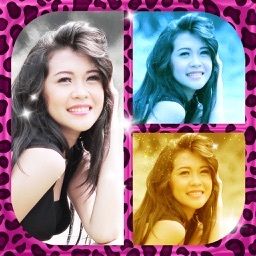 ▶ Grab your beauty camera, take multiple photos and put them together into lovely collage template. Use a wide range of cute stickers, deco stamps and cool quotes to embellish your collage background. Add a touch of lux to your collage design by applying beautiful filters and cool photo effects. It’s easy to change color of borders and pattern of your collage wallpaper! You’ll find that *Cool Photo Collage Editor Pro* is very easy to use and helpful in putting your favorite pictures into cool collage templates. 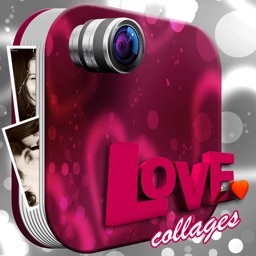 ▶ Download this ‘‘collage creator’’ for free and make an awesome mosaic of your images. like retro, vintage, sepia, classic and many more. Add decorative frames, funny backgrounds and custom stickers and see how everyone admire your collage making technique. 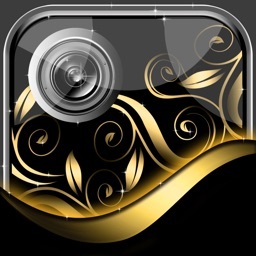 Become famous on social networks for your collage art work made with one of the best collage making apps. Enjoy all the photo fun that *Cool Photo Collage Editor Pro* offers! ▶ You will love your new collage software free of charge! Put your ‘‘cool photos’’ into collage layouts and create astonishing collage art that you can later share on any social network! This collage app contains simple touch gesture to rotate or resize your pics to adjust them into photo grid templates! Personalize your collage with cute text, romantic love quotes or heart stickers. Make a unique photo grid collage of your cute selfies or funny images. ▶ Don’t hesitate to experiment with all the photo collage layouts and multiple picture frames that are at your disposal. Discover best way for photo montage and create beautiful collage artwork that will leave all your friends and social media followers speechless. Enter our photo lab studio and design beautiful image collages of your romantic pictures and wedding photos. Add text to photo, use cool stickers and other embellishments to improve the design of your picture collage. You can find all this and much more in *Cool Photo Collage Editor Pro*, the best ‘‘photo collage maker’’ and enter the world of fun photo manipulation!